Patented design, module LED, excellent heat dissipation performance. Efficiency of 150lm/w, small lumen depreciation, high color rendering rate and uniform brightness. Inbrit QC30-NM series are composed of separate DC lamp, solar panel, controller, gel battery, lighting pole, anchor bolt and cable. The working mode can be designed according to your requirement. High pressure die-cast aluminum fixture, resistance to impact. Pure polyester spray coating on surface, corrosion resistant. Bat-wing type light distribution, higher illumination uniformity, light efficiency up to 150lm/w. 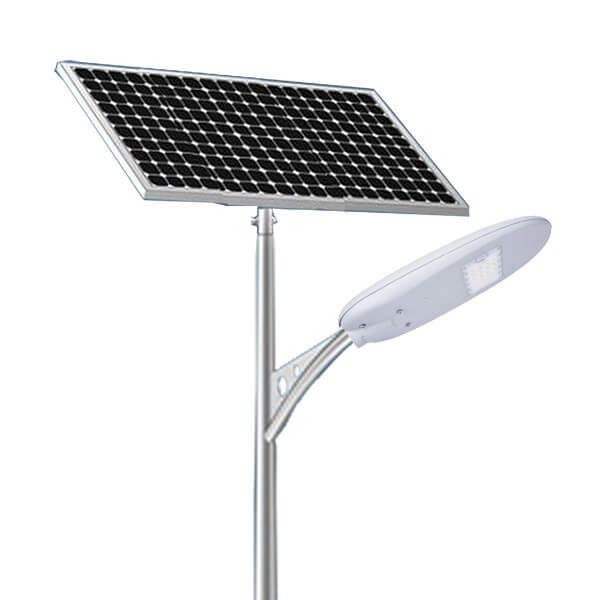 TOP 3 best selling solar street light model of Inbrit. Nice and competitive choice for countryside and small city roads. Wide range of temperature colors to be chosen, more than 50,000 hours working time for LED lamps. Various colors and powers to be chosen, which helps to suit your different needs for solar street lights. third generation products - solar street lights with modular led lamps. 200% faster heat conduction than ADC12 die-cast aluminum, longer lifetime. Higher brightness, efficiency up to 150 lm/W. Clever choice for city road solar street lighting use. Classic design features, wide range of led color temperatures. Excellent choices for solar street lights to be applied in parking lots, city roads and airport roads. 200% faster heat conduction than ADC12 die-cast aluminum. Best selling solar street lights with modular led lamps of Inbrit.